Its blazing hot out, and you make it even hotter by burning up the scene with your scorching new shades. You're not imitating the latest fashion trend, you're creating it for the very first time. How does it feel to be the one who everyone else is copying? Fantastic! You know you've got IT, whatever the IT truly is at this given moment. So how exactly did you jump so far-out ahead of the crowd to be the person that everyone else is imitating? Easy. 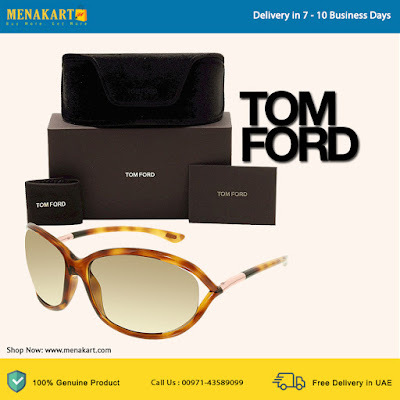 It's a combination of your imagination, your great sense of style, your love of anything new, the little interjections of wow and pizzazz in all the right places in your wardrobe, and to top it all off the very latest in women's fashionable Tom Ford sunglasses. Tom Ford sunglasses are the crowning touch to your clothing ensemble. Their unique cat eye frames most definitely stand out from the average run-of-the-mill type sunglasses frames, and their highly fashionable black plastic frames are literally light-years ahead of any of the competition. Top all of this off by the way, in which their grey plastic lenses both complements the frames and simultaneously offset this pair of sunglasses from all the rest in the crowd, and it's no wonder that you look as good as you do! So now that you know, what's stopping you from picking up your next fantastic pair? 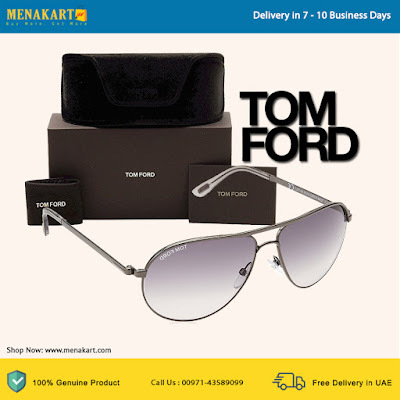 Whether it's out shopping, at a party, on the street, on vacation, or shooting back and forth across town to get all your assignments completed, you will know for certain that people are watching you and your stylish ensemble of fashion that's always topped off with your new pair of Tom Ford sunglasses. 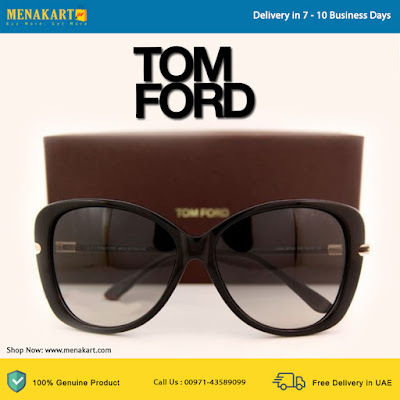 Tom Ford sunglasses, made in Italy.